Hello there! 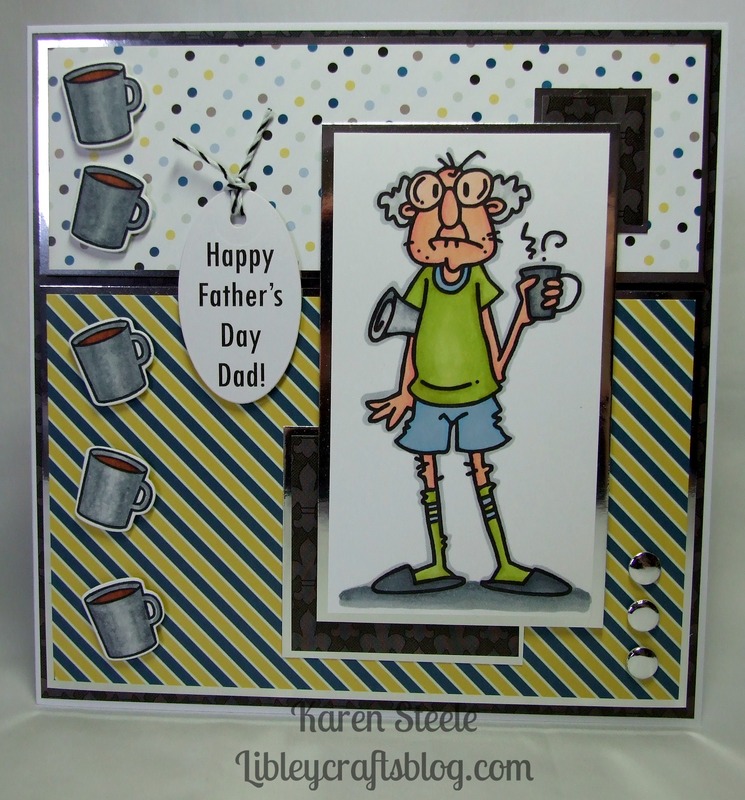 I am back today with a couple of father’s day cards that I have made for my dad and my father-in-law, using this great digi from Bugaboo Stamps called Gus Tidbits Consciousness! I’m pretty sure my dad hasn’t got a lime green and blue ensemble like Gus here, but he does like his newspaper and a cup of tea! The stamped mugs down the side are from Lawn Fawn’s Love you a Latte collection. I also used papers from Hunkydory – All Occasions Essentials Paper Pad, Card Candi, silver mirror card, Spellbinder’s tag die, twine and Spectrum Noirs. For the second card I used the same paper pad, Mama Elephant Mini Messages stamp and tag die, Spellbinder’s label die, Card Candi, twine and a Bazzill Pleated border. Here again, I used Spectrum Noirs and the Love you a Latte set for the mugs. Lol!!! These are both soooo stinkin’ cute, Karen!!! Love your layouts and all your amazing details!!! Fantastic!!! I totally LOVE Gus and both Cards are FUN, Karen. I like the extra Cups you´ve added. Great ! Oh these are such fun aren’t they? So nice to have something a bit different too. Beautifully executed, as always. The little extras you add are inspired! 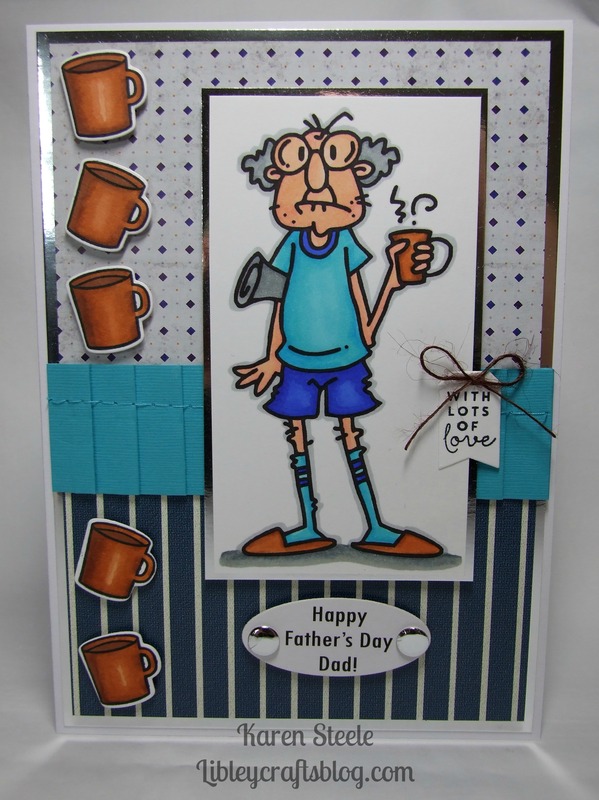 Love your Father’s Day cards…super FUN! Awesome image and love all the coffee cups! !